MYRTLE BEACH, S.C. (April 7, 2019) - Javier Assad fired five strong innings for the Myrtle Beach Pelicans on Sunday evening, but the Lynchburg Hillcats used timely hitting in a 3-0 win in the series finale at TicketReturn.com Field at Pelicans Ballpark. 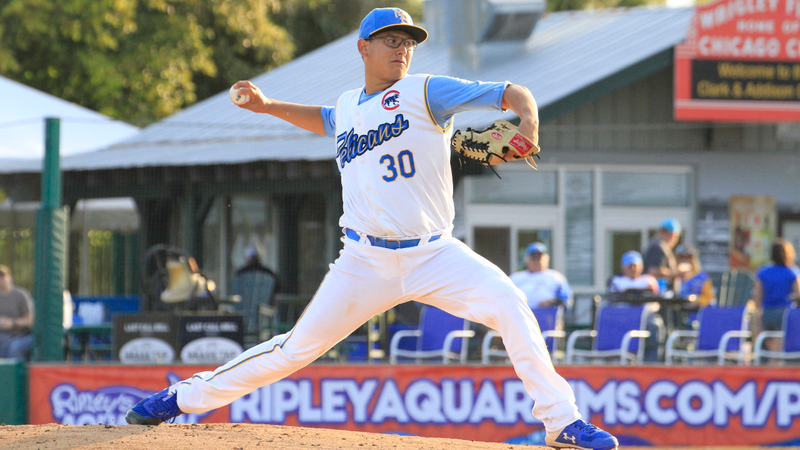 Assad (0-1) whiffed four for the Pelicans (1-3) over his five innings, allowing one run on three hits while walking two. The Hillcats (3-1) jumped on Assad in the top of the first inning. Tyler Friis singled and Oscar Gonzalez smoked his second double of the weekend to plate Friis and make it 1-0 Lynchburg. The Hillcats were able to add another run in the seventh inning when Trenton Brooks led the inning off with a walk and scored on a double from Gavin Collins. Brooks took the tension away in the top of the ninth inning with his second home run of the season to make it 3-0 Hillcats. Myrtle Beach threatened in the bottom of the ninth. Yeiler Peguero laid down a perfect bunt to lead off the inning and D.J. Wilson followed that up with a walk. Jimmy Herron moved the runners to second and third after a groundout, but Jared Robinson struck out the next two to earn the save. Eli Morgan (1-0) dealt for the Hillcats in his Sunday start, holding the Pelicans hitless through the first three innings and facing the minimum through his six innings of work. Myrtle Beach will be back in action on Monday as they travel to Kinston, North Carolina to take on the Down East Wood Ducks in the first of three games at 7:00 p.m. The Birds will send RHP Erling Moreno (0-0, 0.00) to the mound. Coverage begins at 6:45 on MyrtleBeachPelicans.Com/Broadcast and the First Pitch App.